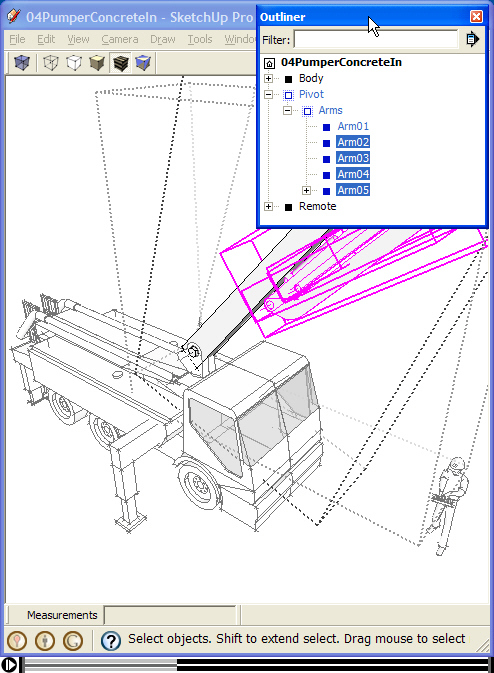 Recent SketchUp 8 upgrades emphasize three key directions for 3D modeling. 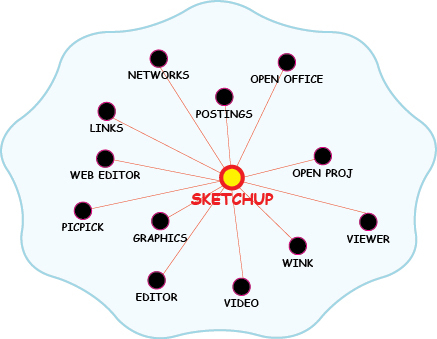 The first is to make content modeling for Google Earth easier, which is of course the reason Google purchased SketchUp. These new tools make it possible for novice users to help complete Google’s vision of populating the earth’s cities with 3D buildings. The SketchUp team also implemented their version of a solid modeler that adds, subtracts, and unions “watertight” shapes into various combinations to create new surface objects — not really solids, but a start. Lastly, a weaker set of upgrades involve the Layout tools for Google Pro, lamely taking SketchUp toward a 2D drafting program that is well short of its many open-source competitors. The result is that SketchUp remains a program that is only really useful in the first part of the standard AIA fee structure. As a design flows from schematics to preliminaries and eventually production drawings, SketchUp abandons itself through dwg/dwf exports to other 2D programs. This kind of thinking leaves as much as 90% of the billable design fee to the rest of the CAD industry. Perhaps the logic of this strategy is sound if one is locked into the paradigmatic assumption that 2D documentation is the only way to meet the core values required of a set of construction documents. At the same time, SketchUp blends well with an emerging multidimensional world of graphic communications. Both its images and animations can be captured and transferred to other open-source programs to effectively support the entire project production process. Easy and effective 3D visualization tools. Simple process or sequence animations. These are transparent and highly portable graphic communications advantages, and for an increasing number of constructors, they lead to the ability to design and control their own projects. Sometimes as a preconstruction modeler to check constructability, but more often as a concept modeler to explain or analyze production processes and manage design-build installations. It’s ironic then that SketchUp blindly begins in a 3D exchange of ideas that is then laboriously translated by CAD operators into a bulging set of 2D documents, only to be simplified, reinterpreted, and explained again in a multidimensional world of 3D communication technologies. It’s also interesting that multidimensional documents are faster to produce, minimizing time consuming 2D drawings and specs, shifting the emphasis in a standard fee structure, and increasing billable hours for construction administration by adaptively focusing on the core values of construction documents. The result is purposeful information, customized to the level of detail necessary for each phase of the project, rather than a single densely packed set of 2D documents. For example, an adaptive document would allow code officials, subcontractor, and supplier, to sort and review only the information necessary for their particular interests in the project. At the same time, automated adaptation would preselect construction information according to phase or context, formatting that information to platform specific configurations that synchronize with the progress of the work. In this way, hardened foundation or framing details would move to data archives as later systems and finish work begins. Obviously, this goes well beyond the direction Google is taking with its current release. Instead, an adaptive modeler builds on SketchUp’s original concept of “3D Modeling for Everyone.” As such 3D construction models are used to visually organize information to meet both the particular needs and context of the observer. This means there is no specific CAD or BIM program to learn and no one is there to sell a single marketed solution – all that is necessary is to look to a cloud of easily accessible open-source tools and references freely available on the web. This evolution of the construction document is exciting, because multidimensional graphical information must be produced and provided by a generation that understands both the construction process and the variety of open-source technologies available to communicate different ways of thinking. It’s a kind of democratization of the production of a construction document, in many ways a return to the pencil and paper of the masterbuilder — only this next generation of masterbuilder adds a wealth of technical resources to the adaptive tools used to build their own ideas.